Hanover College, Indiana’s oldest private college, was founded in 1827 to educate and inspire liberal arts students. In the modern era, the college needed more dormitory and classroom space for new students. The college’s Lynn Hall required renovation to create that space. 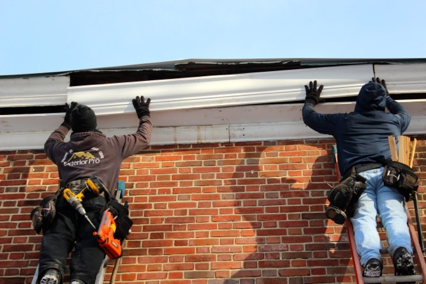 During the process, the school’s impressive history presented unique modern challenges: the historic building had a decades-old leaky roof that needed repair before renovations could be completed. That’s when the college turned to Exterior Pro. Lynn Hall, a 40,000 sq. ft. facility, used to be a gymnasium. Built in the 1940s, the building incorporated nearly every roofing membrane under the sun, thanks to years of patchwork repairs. The building’s barrel section was roofed with asphalt, while other sections had ballasted rubber roofing, Duro-Last membrane and adhered rubber roofing. Some parts of the building were roofed with mixed materials. The job was formidable. 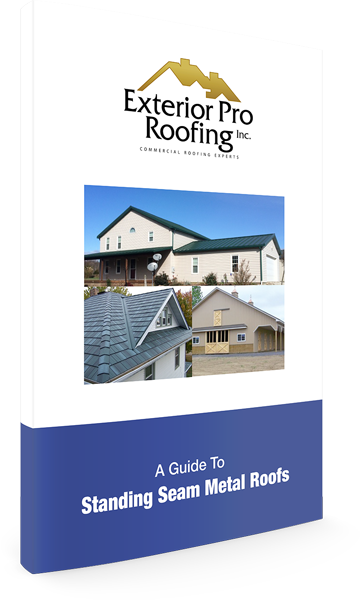 Buildings this old present serious unknowns for roofing contractors. 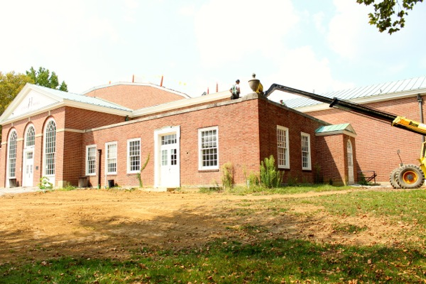 The roof included nearly every type of roofing material in the book, and the interior renovation of Lynn Hall was ongoing during roof repairs. Exterior Pro Roofing needed to employ a strategic plan, real-time problem solving, and a range of expertise to keep the building’s interior dry and successfully complete the job. Exterior Pro Roofing assessed the roof and found 18 leaks in various sections. The roof’s barrel section leaked for years where it met a standing seam copper roof. The building’s ballasted rubber had also degraded at points where roof sections drained into copper box gutters. 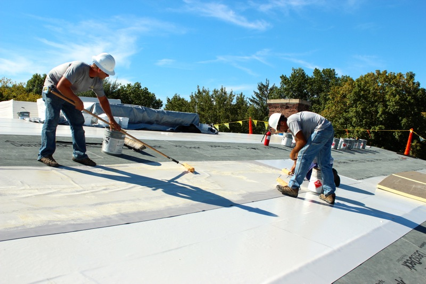 The building’s architects specified a fully adhered Duro-Last® PVC membrane for the roof, an additional five inches of ISO roofing insulation, and 1/4-in. dense deck. Exterior Pro used 3M spray foam to adhere the insulation and dense deck, along with solvent-based adhesive for the PVC membrane. Exterior Pro Roofing chose Duro-Last® for the PVC membrane because of the material’s durability and reliability. The standing seam copper roofing would stay in place, but it needed a secure tie-in. One solution was to remove the copper roofing from the valley where the roof sections met. Removing this seam is anything but simple: Expensive repairs would be needed. The seam is several pieces connected by hems—panels bent to fit together and soldered in many places. Those repairs would also disturb a leak-free roofing system elsewhere on the building that had many years of life left. Instead of pursuing this option, Exterior Pro designed a custom sheet-metal valley pan to create a secure tie-in without removing the copper roofing. The custom solution was high-quality, and saved Hanover College a substantial amount of money—all without disturbing leak-free parts of the roof. Lined box gutters with membrane. Framed in holes for new skylights. Replaced portions of bad decking. Installed new roof drains on parts of the building. Installed snow guards on the roof membrane to slow down any ice and snow that fell off the building. Installed new sheet metal trims to finish out the building. Constructed a custom chimney cap. The work took 10 weeks to complete, and Exterior Pro kept the interior of the building dry as the renovations took place. This was a job that required critical thinking, accurate planning, and timely installation practices. The result was a happy customer, a historical building with a repaired roof, and, most importantly, the ability to effectively house and educate a new generation of college students.